For the Anglican religious order, see Anglican Order of Preachers. For other uses, see Dominican (disambiguation). The Order of Preachers (Latin: Ordo Praedicatorum, postnominal abbreviation OP), also known as the Dominican Order, is a mendicant Catholic religious order founded by the Spanish priest Dominic of Caleruega (also called Dominic de Guzmán) in France, approved by Pope Honorius III via the Papal bull Religiosam vitam on 22 December 1216. Members of the order, who are referred to as Dominicans, generally carry the letters OP after their names, standing for Ordinis Praedicatorum, meaning of the Order of Preachers. Membership in the order includes friars, nuns, active sisters, and affiliated lay or secular Dominicans (formerly known as tertiaries, though recently there has been a growing number of associates who are unrelated to the tertiaries). Founded to preach the Gospel and to oppose heresy, the teaching activity of the order and its scholastic organisation placed the Preachers in the forefront of the intellectual life of the Middle Ages. The order is famed for its intellectual tradition, having produced many leading theologians and philosophers. In the year 2017 there were 5,742 Dominican friars, including 4,302 priests. The Dominican Order is headed by the Master of the Order, currently Bruno Cadoré. A number of other names have been used to refer to both the order and its members. In England and other countries, the Dominican friars are referred to as "Black Friars" because of the black cappa or cloak they wear over their white habits. Dominicans were "Blackfriars", as opposed to "Whitefriars" (i.e., Carmelites) or "Greyfriars" (i.e., Franciscans). They are also distinct from the "Austin friars" (i.e., Augustinian Friars) who wear a similar habit. In France, the Dominicans were known as "Jacobins" because their convent in Paris was attached to the Church of Saint-Jacques, now disappeared, on the way to Saint-Jacques-du-Haut-Pas, which belonged to the Italian Order of Saint James of Altopascio (St. James) Sanctus Iacobus in Latin. Their identification as Dominicans gave rise to the pun that they were the "Domini canes", or "Hounds of the Lord". The Dominican Order came into being in the Middle Ages at a time when men of God were no longer expected to stay behind the walls of a cloister. Instead, they travelled among the people, taking as their examples the apostles of the primitive Church. Out of this ideal emerged two orders of mendicant friars: one, the Friars Minor, was led by Francis of Assisi; the other, the Friars Preachers, by Dominic of Guzman. Like his contemporary, Francis, Dominic saw the need for a new type of organization, and the quick growth of the Dominicans and Franciscans during their first century of existence confirms that the orders of mendicant friars met a need. 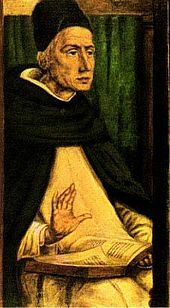 Dominic sought to establish a new kind of order, one that would bring the dedication and systematic education of the older monastic orders like the Benedictines to bear on the religious problems of the burgeoning population of cities, but with more organizational flexibility than either monastic orders or the secular clergy. The Order of Preachers was founded in response to a then perceived need for informed preaching. Dominic's new order was to be trained to preach in the vernacular languages. Dominic inspired his followers with loyalty to learning and virtue, a deep recognition of the spiritual power of worldly deprivation and the religious state, and a highly developed governmental structure. 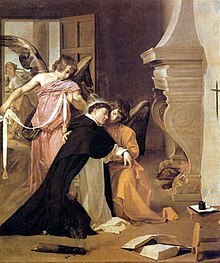 At the same time, Dominic inspired the members of his order to develop a "mixed" spirituality. They were both active in preaching, and contemplative in study, prayer and meditation. The brethren of the Dominican Order were urban and learned, as well as contemplative and mystical in their spirituality. While these traits affected the women of the order, the nuns especially absorbed the latter characteristics and made those characteristics their own. In England, the Dominican nuns blended these elements with the defining characteristics of English Dominican spirituality and created a spirituality and collective personality that set them apart. As an adolescent, he had a particular love of theology and the Scriptures became the foundation of his spirituality. During his studies in Palencia, Spain, he experienced a dreadful famine, prompting Dominic to sell all of his beloved books and other equipment to help his neighbors. After he completed his studies, Bishop Martin Bazan and Prior Diego d'Achebes appointed Dominic to the cathedral chapter and he became a Canon Regular under the Rule of Saint Augustine and the Constitutions for the cathedral church of Osma. At the age of twenty-four or twenty-five, he was ordained to the priesthood. In 1203, Dominic de Guzmán joined Diego de Acebo on an embassy to Denmark for the monarchy of Spain, to arrange the marriage between the son of King Alfonso VIII of Castile and a niece of King Valdemar II of Denmark. At that time the south of France was the stronghold of the Cathar movement. The Cathars (also known as Albigensians, due to their stronghold in Albi, France) were a heretical neo-gnostic sect. They believed that matter was evil and only the spirit was good; this was a fundamental challenge to the notion of the incarnation, central to Catholic theology. The Albigensian Crusade (1209–1229) was a 20-year military campaign initiated by Pope Innocent III to eliminate Catharism in Languedoc, in southern France. Dominic saw the need for a response that would attempt to sway members of the Albigensian movement back to mainstream Christian thought. Dominic became inspired into a reforming zeal after they encountered Albigensian Christians at Toulouse. Diego immediately saw one of the paramount reasons for the spread of the unorthodox movement- the representatives of the Holy Church acted and moved with an offensive amount of pomp and ceremony. In contrast, the Cathars generally led ascetic lifestyles. For these reasons, Diego suggested that the papal legates begin to live a reformed apostolic life. The legates agreed to change if they could find a strong leader. The prior took up the challenge, and he and Dominic dedicated themselves to the conversion of the Cathars. Despite this particular mission, Dominic met limited success converting Cathars by persuasion, "for though in his ten years of preaching a large number of converts were made, it has to be said that the results were not such as had been hoped for". Dominic became the spiritual father to several Albigensian women he had reconciled to the faith, and in 1206 he established them in a convent in Prouille, near Toulouse. This convent would become the foundation of the Dominican nuns, thus making the Dominican nuns older than the Dominican friars. Diego sanctioned the building of a monastery for girls whose parents had sent them to the care of the Albigensians because their families were too poor to fulfill their basic needs. The monastery in Prouille would later become Dominic's headquarters for his missionary effort. After two years on the mission field, Diego died while traveling back to Spain. Dominic founded the Dominican Order in 1215 at a time when men of God were no longer expected to stay behind the walls of a cloister. 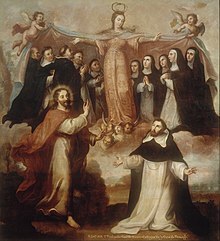 Saint Dominic established a religious community in Toulouse in 1214, to be governed by the rule of Saint Augustine and statutes to govern the life of the friars, including the Primitive Constitution. (The statutes borrowed somewhat from the Constitutions of Prémontré). The founding documents establish that the order was founded for two purposes: preaching and the salvation of souls. Saint Dominic's room at Maison Seilhan, in Toulouse, is considered the place where the Order was born. Dominic established a religious community in Toulouse in 1214, to be governed by the rule of Saint Augustine and statutes to govern the life of the friars, including the Primitive Constitution. In July 1215, with the approbation of Bishop Foulques of Toulouse, Dominic ordered his followers into an institutional life. Its purpose was revolutionary in the pastoral ministry of the Catholic Church. These priests were organized and well trained in religious studies. Dominic needed a framework—a rule—to organize these components. The Rule of Saint Augustine was an obvious choice for the Dominican Order, according to Dominic's successor Jordan of Saxony, in the Libellus de principiis, because it lent itself to the "salvation of souls through preaching". By this choice, however, the Dominican brothers designated themselves not monks, but canons-regular. They could practice ministry and common life while existing in individual poverty. Dominic's education at Palencia gave him the knowledge he needed to overcome the Manicheans. 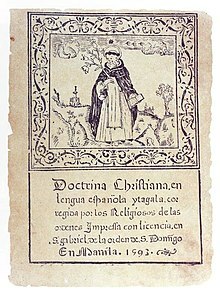 With charity, the other concept that most defines the work and spirituality of the order, study became the method most used by the Dominicans in working to defend the Church against the perils that hounded it, and also of enlarging its authority over larger areas of the known world. In Dominic's thinking, it was impossible for men to preach what they did not or could not understand. When the brethren left Prouille, then, to begin their apostolic work, Dominic sent Matthew of Paris to establish a school near the University of Paris. This was the first of many Dominican schools established by the brethren, some near large universities throughout Europe. The women of the order also established schools for the children of the local gentry. The Order of Preachers was approved in December 1216 and January 1217 by Pope Honorius III in the papal bulls Religiosam vitam and Nos attendentes. On January 21, 1217, Honorius issued the bull Gratiarum omnium recognizing Saint Dominic's followers as an order dedicated to study and universally authorized to preach, a power formerly reserved to local episcopal authorization. On August 15, 1217, Dominic dispatched seven of his followers to the great university center of Paris to establish a priory focused on study and preaching. The Convent of St. Jacques, would eventually become the order's first studium generale. Saint Dominic was to establish similar foundations at other university towns of the day, Bologna in 1218, Palencia and Montpellier in 1220, and Oxford just before his death in 1221. Allegory of the Virgin Patroness of the Dominicans by Miguel Cabrera. In 1219 Pope Honorius III invited Dominic and his companions to take up residence at the ancient Roman basilica of Santa Sabina, which they did by early 1220. Before that time the friars had only a temporary residence in Rome at the convent of San Sisto Vecchio which Honorius III had given to Dominic circa 1218 intending it to become a convent for a reformation of nuns at Rome under Dominic's guidance. In May 1220 at Bologna the order's first General Chapter mandated that each new priory of the order maintain its own studium conventuale, thus laying the foundation of the Dominican tradition of sponsoring widespread institutions of learning. The official foundation of the Dominican convent at Santa Sabina with its studium conventuale occurred with the legal transfer of property from Honorius III to the Order of Preachers on June 5, 1222. This studium was transformed into the order's first studium provinciale by Saint Thomas Aquinas in 1265. Part of the curriculum of this studium was relocated in 1288 at the studium of Santa Maria sopra Minerva which in the 16th century world be transformed into the College of Saint Thomas (Latin: Collegium Divi Thomæ). In the 20th century the college would be relocated to the convent of Saints Dominic and Sixtus and would be transformed into the Pontifical University of Saint Thomas Aquinas, Angelicum. The Dominican friars quickly spread, including to England, where they appeared in Oxford in 1221. In the 13th century the order reached all classes of Christian society, fought heresy, schism, and paganism by word and book, and by its missions to the north of Europe, to Africa, and Asia passed beyond the frontiers of Christendom. Its schools spread throughout the entire Church; its doctors wrote monumental works in all branches of knowledge, including the extremely important Albertus Magnus and Thomas Aquinas. Its members included popes, cardinals, bishops, legates, inquisitors, confessors of princes, ambassadors, and paciarii (enforcers of the peace decreed by popes or councils). The order's origins in battling heterodoxy influenced its later development and reputation. Many later Dominicans battled heresy as part of their apostolate. Indeed, many years after Dominic reacted to the Cathars, the first Grand Inquistor of Spain, Tomás de Torquemada, would be drawn from the Dominican Order. The order was appointed by Pope Gregory IX the duty to carry out the Inquisition. Torture was not regarded as a mode of punishment, but purely as a means of eliciting the truth. In his Papal Bull Ad extirpanda of 1252, Pope Innocent IV authorised the Dominicans' use of torture under prescribed circumstances. The expansion of the order produced changes. A smaller emphasis on doctrinal activity favoured the development here and there of the ascetic and contemplative life and there sprang up, especially in Germany and Italy, the mystical movement with which the names of Meister Eckhart, Heinrich Suso, Johannes Tauler, and Saint Catherine of Siena are associated. (See German mysticism, which has also been called "Dominican mysticism".) This movement was the prelude to the reforms undertaken, at the end of the century, by Raymond of Capua, and continued in the following century. At the same time the order found itself face to face with the Renaissance. It struggled against pagan tendencies in Renaissance humanism, in Italy through Dominici and Savonarola, in Germany through the theologians of Cologne but it also furnished humanism with such advanced writers as Francesco Colonna (probably the writer of the Hypnerotomachia Poliphili) and Matteo Bandello. Many Dominicans took part in the artistic activity of the age, the most prominent being Fra Angelico and Fra Bartolomeo. Although Dominic and the early brethren had instituted female Dominican houses at Prouille and other places by 1227, houses of women attached to the Order became so popular that some of the friars had misgivings about the increasing demands of female religious establishments on their time and resources. Nonetheless, women's houses dotted the countryside throughout Europe. There were seventy-four Dominican female houses in Germany, forty-two in Italy, nine in France, eight in Spain, six in Bohemia, three in Hungary, and three in Poland. Many of the German religious houses that lodged women had been home to communities of women, such as Beguines, that became Dominican once they were taught by the traveling preachers and put under the jurisdiction of the Dominican authoritative structure. A number of these houses became centers of study and mystical spirituality in the 14th century, as expressed in works such as the sister-books. There were one hundred and fifty-seven nunneries in the order by 1358. After that year, the number lessened considerably due to the Black Death. In places besides Germany, convents were founded as retreats from the world for women of the upper classes. These were original projects funded by wealthy patrons, including other women. Among these was Countess Margaret of Flanders who established the monastery of Lille, while Val-Duchesse at Oudergem near Brussels was built with the wealth of Adelaide of Burgundy, Duchess of Brabant (1262). Female houses differed from male Dominican houses in that they were enclosed. The sisters chanted the Divine Office and kept all the monastic observances. The nuns lived under the authority of the general and provincial chapters of the order. They shared in all the applicable privileges of the order. The friars served as their confessors, priests, teachers and spiritual mentors. Women could be professed to the Dominican religious life at the age of thirteen. The formula for profession contained in the Constitutions of Montargis Priory (1250) requires that nuns pledge obedience to God, the Blessed Virgin, their prioress and her successors according to the Rule of Saint Augustine and the institute of the order, until death. The clothing of the sisters consisted of a white tunic and scapular, a leather belt, a black mantle, and a black veil. Candidates to profession were questioned to reveal whether they were actually married women who had merely separated from their husbands. Their intellectual abilities were also tested. Nuns were to be silent in places of prayer, the cloister, the dormitory, and refectory. Silence was maintained unless the prioress granted an exception for a specific cause. Speaking was allowed in the common parlor, but it was subordinate to strict rules, and the prioress, subprioress or other senior nun had to be present. As well as sewing, embroidery and other genteel pursuits, the nuns participated in a number of intellectual activities, including reading and discussing pious literature. In the Strassburg monastery of Saint Margaret, some of the nuns could converse fluently in Latin. Learning still had an elevated place in the lives of these religious. In fact, Margarette Reglerin, a daughter of a wealthy Nuremberg family, was dismissed from a convent because she did not have the ability or will to learn. In England, the Dominican Province began at the second general chapter of the Dominican Order in Bologna during the spring of 1221. Dominic dispatched twelve friars to England under the guidance of their English prior, Gilbert of Fresney. They landed in Dover on August 5, 1221. The province officially came into being at its first provincial chapter in 1230. The English Province was a component of the international order from which it obtained its laws, direction, and instructions. It was also, however, a group of Englishmen. Its direct supervisors were from England, and the members of the English Province dwelt and labored in English cities, towns, villages, and roadways. English and European ingredients constantly came in contact. The international side of the province's existence influenced the national, and the national responded to, adapted, and sometimes constrained the international. The first Dominican site in England was at Oxford, in the parishes of St. Edward and St. Adelaide. The friars built an oratory to the Blessed Virgin Mary and by 1265, the brethren, in keeping with their devotion to study, began erecting a school. Actually, the Dominican brothers likely began a school immediately after their arrival, as priories were legally schools. Information about the schools of the English Province is limited, but a few facts are known. Much of the information available is taken from visitation records. The "visitation" was a section of the province through which visitors to each priory could describe the state of its religious life and its studies to the next chapter. There were four such visits in England and Wales—Oxford, London, Cambridge and York. All Dominican students were required to learn grammar, old and new logic, natural philosophy and theology. Of all of the curricular areas, however, theology was the most important. This is not surprising when one remembers Dominic's zeal for it. Dartford Priory was established long after the primary period of monastic foundation in England had ended. It emulated, then, the monasteries found in Europe—mainly France and German—as well as the monastic traditions of their English Dominican brothers. The first nuns to inhabit Dartford were sent from Poissy Priory in France. Even on the eve of the Dissolution, Prioress Jane Vane wrote to Cromwell on behalf of a postulant, saying that though she had not actually been professed, she was professed in her heart and in the eyes of God. This is only one such example of dedication. Profession in Dartford Priory seems, then, to have been made based on personal commitment, and one's personal association with God. As heirs of the Dominican priory of Poissy in France, the nuns of Dartford Priory in England were also heirs to a tradition of profound learning and piety. Strict discipline and plain living were characteristic of the monastery throughout its existence. Bartolomé de Las Casas, as a settler in the New World, was galvanized by witnessing the brutal torture and genocide of the Native Americans by the Spanish colonists. He became famous for his advocacy of the rights of Native Americans, whose cultures, especially in the Caribbean, he describes with care. Gaspar da Cruz (c.1520–1570), who worked all over the Portuguese colonial empire in Asia, was probably the first Christian missionary to preach (unsuccessfully) in Cambodia. After a (similarly unsuccessful) stint, in 1556, in Guangzhou, China, he eventually returned to Portugal and became the first European to publish a book devoted exclusively to China in 1569/1570. The beginning of the 16th century confronted the order with the upheavals of Revolution. The spread of Protestantism cost it six or seven provinces and several hundreds of convents, but the discovery of the New World opened up a fresh field of activity. In the 18th century, there were numerous attempts at reform, accompanied by a reduction in the number of devotees. The French Revolution ruined the order in France, and crises that more or less rapidly followed considerably lessened or wholly destroyed numerous provinces. During the early 19th century, the number of Preachers seems never to have sunk below 3,500. Statistics for 1876 show 3,748, but 500 of these had been expelled from their convents and were engaged in parochial work. Statistics for 1910 show a total of 4,472 nominally or actually engaged in proper activities of the order. By the year 2013 there were 6058 Dominican friars, including 4,470 priests. In the revival movement France held a foremost place, owing to the reputation and convincing power of the orator, Jean-Baptiste Henri Lacordaire (1802–1861). He took the habit of a Friar Preacher at Rome (1839), and the province of France was canonically erected in 1850. From this province were detached the province of Lyon, called Occitania (1862), that of Toulouse (1869), and that of Canada (1909). The French restoration likewise furnished many laborers to other provinces, to assist in their organization and progress. From it came the master general who remained longest at the head of the administration during the 19th century, Père Vincent Jandel (1850–1872). Here should be mentioned the province of Saint Joseph in the United States. Founded in 1805 by Edward Fenwick, afterwards first Bishop of Cincinnati, Ohio (1821–1832). In 1905, it established a large house of studies at Washington, D.C., called the Dominican House of Studies. The province of France has produced a large number of preachers. The conferences of Notre-Dame-de-Paris were inaugurated by Père Lacordaire. The Dominicans of the province of France furnished Lacordaire (1835–1836, 1843–1851), Jacques Monsabré, and Joseph Ollivier. The pulpit of Notre Dame has been occupied by a succession of Dominicans. Père Henri Didon (d. 1900) was a Dominican. The house of studies of the province of France publishes L'Année Dominicaine (founded 1859), La Revue des Sciences Philosophiques et Theologiques (1907), and La Revue de la Jeunesse (1909). French Dominicans founded and administer the École Biblique et Archéologique française de Jérusalem founded in 1890 by Marie-Joseph Lagrange (1855–1938), one of the leading international centres for biblical research. It is at the École Biblique that the famed Jerusalem Bible (both editions) was prepared. Likewise Cardinal Yves Congar was a product of the French province of the Order of Preachers. Doctrinal development has had an important place in the restoration of the Preachers. Several institutions, besides those already mentioned, played important parts. Such is the Biblical school at Jerusalem, open to the religious of the order and to secular clerics, which publishes the Revue Biblique. The Pontificium Collegium Internationale Angelicum, the future Pontifical University of Saint Thomas Aquinas, Angelicum established at Rome in 1908 by Master Hyacinth Cormier, opened its doors to regulars and seculars for the study of the sacred sciences. In addition to the reviews above are the Revue Thomiste, founded by Père Thomas Coconnier (d. 1908), and the Analecta Ordinis Prædicatorum (1893). Among numerous writers of the order in this period are: Cardinals Thomas Zigliara (d. 1893) and Zephirin González (d. 1894), two esteemed philosophers; Alberto Guillelmotti (d. 1893), historian of the Pontifical Navy, and historian Heinrich Denifle (d. 1905). During the Reformation, many of the monasteries of Dominican nuns were forced to close. One which managed to survive, and afterwards founded many new houses, was St Ursula's in Augsburg. In the seventeenth century, monasteries of Dominican women were often asked by their bishops to undertake apostolic work, particularly educating girls and visiting the sick. St Ursula's returned to an enclosed life in the eighteenth century, but in the nineteenth century, after Napoleon had closed many European women's monasteries, King Louis I of Bavaria in 1828 restored the Religious Orders of women in his realm, provided that the nuns undertook some active work useful to the State (usually teaching or nursing). In 1877, Bishop Ricards in South Africa requested that Augsburg send a group of nuns to start a teaching mission in King Williamstown. From this mission were founded many Third Order Regular congregations of Dominican sisters, with their own constitutions, though still following the Rule of Saint Augustine and affiliated to the Dominican Order. These include the Dominican Sisters of Oakford, KwazuluNatal (1881), the Dominican Missionary Sisters, Zimbabwe, (1890) and the Dominican Sisters of Newcastle, KwazuluNatal (1891). The Dominican Order has influenced the formation of other Orders outside of the Roman Catholic Church, such as the Anglican Order of Preachers which is a Dominican Order within the world wide Anglican Communion. The Friars, Nuns, Sisters, Members of Priestly Fraternities of Saint Dominic, Dominican Laity and Dominican Youths together form the Order of Preachers. The Dominican nuns were founded by Saint Dominic even before he had established the friars. They are contemplatives in the cloistered life. Properly speaking, the friars and nuns together form the Order of Preachers. The nuns celebrated their 800th anniversary in 2006. Women have been part of the Dominican Order since the beginning, but distinct active congregations of Dominican sisters in their current form are largely a product of the nineteenth century and afterwards. They draw their origins both from the Dominican nuns and the communities of women tertiaries (lay women) who lived in their own homes and gathered regularly to pray and study: the most famous of these was the Mantellate attached to Saint Dominic's church in Siena, to which Saint Catherine of Siena belonged. In the seventeenth century, some European Dominican monasteries (e.g. St Ursula's, Augsburg) temporarily became no longer enclosed, so they could engage in teaching or nursing or other work in response to pressing local need. Any daughter houses they founded, however, became independent. But in the nineteenth century, in response to increasing missionary fervor, monasteries were asked to send groups of women to found schools and medical clinics around the world. Large numbers of Catholic women traveled to Africa, the Americas, and the East to teach and support new communities of Catholics there, both settlers and converts. Owing to the large distances involved, these groups needed to be self-governing, and they frequently planted new self-governing congregations in neighboring mission areas in order to respond more effectively to the perceived pastoral needs. Following on from this period of growth in the nineteenth century, and another great period of growth in those joining these congregations in the 1950s, there are currently 24,600 Sisters belonging to 150 Dominican Religious Congregations present in 109 countries affiliated to Dominican Sisters International. As well as the friars, Dominican sisters live their lives supported by four common values, often referred to as the Four Pillars of Dominican Life, they are: community life, common prayer, study and service. Saint Dominic called this fourfold pattern of life the "holy preaching". Henri Matisse was so moved by the care that he received from the Dominican Sisters that he collaborated in the design and interior decoration of their Chapelle du Saint-Marie du Rosaire in Vence, France. The Priestly Fraternities of St. Dominic are diocesan priests who are formally affiliated to the Order of Preachers (Dominicans) through a Rule of life that they profess, and so strive for evangelical perfection under the overall direction of the Dominican friars. The origins of the Dominican fraternities can be traced from the Dominican third Order secular, which then included both priests and lay persons as members. 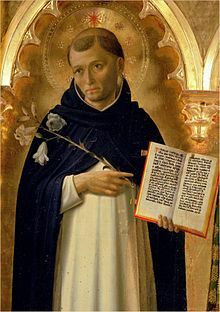 Now existing as a separate association from that of the laity, and with its own distinct rule to follow, the Priestly Fraternities of St. Dominic continues to be guided by the Order in embracing the gift of the spirituality of Saint Dominic in the unique context of the diocesan priests. Along with the special grace of the Sacrament of Holy Orders, which helps them to perform the acts of the sacred ministry worthily, they receive new spiritual help from the profession, which makes them members of the Dominican Family and sharers in the grace and mission of the Order. While the Order provides them with these spiritual aids and directs them to their own sanctification, it leaves them free for the complete service of the local Church, under the jurisdiction of their own Bishop. Lay Dominicans are governed by their own rule, the Rule of the Lay Fraternities of St. Dominic, promulgated by the Master in 1987. It is the fifth Rule of the Dominican Laity; the first was issued in 1285. Lay Dominicans are also governed by the Fundamental Constitution of the Dominican Laity, and their provinces provide a General Directory and Statutes. According to their Fundamental Constitution of the Dominican Laity, sec. 4, "They have a distinctive character in both their spirituality and their service to God and neighbor. As members of the Order, they share in its apostolic mission through prayer, study and preaching according to the state of the laity." Pope Pius XII, in Chosen Laymen, an Address to the Third Order of St. Dominic (1958), said, "The true condition of salvation is to meet the divine invitation by accepting the Catholic 'credo' and by observing the commandments. But the Lord expects more from you [Lay Dominicans], and the Church urges you to continue seeking the intimate knowledge of God and His works, to search for a more complete and valuable expression of this knowledge, a refinement of the Christian attitudes which derive from this knowledge." The two greatest saints among them are Saint Catherine of Siena and Saint Rose of Lima, who lived ascetic lives in their family homes, yet both had widespread influence in their societies. Today, there is a growing number of Associates who share the Dominican charism. Dominican Associates are Christian women and men; married, single, divorced, and widowed; clergy members and lay persons who were first drawn to and then called to live out the charism and continue the mission of the Dominican Order – to praise, to bless, to preach. Associates do not take vows, but rather make a commitment to be partners with vowed members, and to share the mission and charism of the Dominican Family in their own lives, families, churches, neighborhoods, workplaces, and cities. They are most often associated with a particular apostolic work of a congregation of active Dominican sisters. The Dominican emphasis on learning and on charity distinguishes it from other monastic and mendicant orders. As the order first developed on the European continent, learning continued to be emphasized by these friars and their sisters in Christ. These religious also struggled for a deeply personal, intimate relationship with God. When the order reached England, many of these attributes were kept, but the English gave the order additional, specialized characteristics. Humbert of Romans, the master general of the order from 1254 to 1263, was a great administrator, as well as preacher and writer. It was under his tenure as master general that the sisters in the order were given official membership. He also wanted his friars to reach excellence in their preaching, and this was his most lasting contribution to the order. Humbert is at the center of ascetic writers in the Dominican Order. 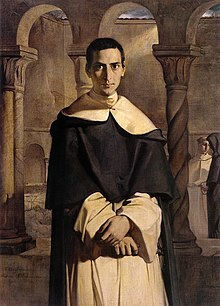 He advised his readers, "[Young Dominicans] are also to be instructed not to be eager to see visions or work miracles, since these avail little to salvation, and sometimes we are fooled by them; but rather they should be eager to do good in which salvation consists. Also, they should be taught not to be sad if they do not enjoy the divine consolations they hear others have; but they should know the loving Father for some reason sometimes withholds these. Again, they should learn that if they lack the grace of compunction or devotion they should not think they are not in the state of grace as long as they have good will, which is all that God regards". The English Dominicans took this to heart, and made it the focal point of their mysticism. Although Albertus Magnus did much to instill mysticism in the Order of Preachers, it is a concept that reaches back to the Hebrew Bible. In the tradition of Holy Writ, the impossibility of coming face to face with God is a recurring motif, thus the commandment against graven images (Exodus 20.4–5). As time passed, Jewish and early Christian writings presented the idea of 'unknowing,' where God's presence was enveloped in a dark cloud. All of these ideas associated with mysticism were at play in the spirituality of the Dominican community, and not only among the men. 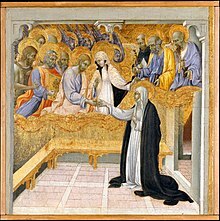 In Europe, in fact, it was often the female members of the order, such as Catherine of Siena, Mechthild of Magdeburg, Christine of Stommeln, Margaret Ebner, and Elsbet Stagl, that gained reputations for having mystical experiences. Notable male members of the order associated with mysticism include Meister Eckhart and Henry Suso. Another who contributed significantly to the spirituality of the order is Albertus Magnus, influence on the brotherhood permeated nearly every aspect of Dominican life. One of Albert's greatest contributions was his study of Dionysus the Areopagite, a mystical theologian whose words left an indelible imprint in the medieval period. Magnus' writings made a significant contribution to German mysticism, which became vibrant in the minds of the Beguines and women such as Hildegard of Bingen and Mechthild of Magdeburg. Mysticism refers to the conviction that all believers have the capability to experience God's love. This love may manifest itself through brief ecstatic experiences, such that one may be engulfed by God and gain an immediate knowledge of Him, which is unknowable through the intellect alone. Albertus Magnus championed the idea, drawn from Dionysus, that positive knowledge of God is possible, but obscure. Thus, it is easier to state what God is not, than to state what God is: "... we affirm things of God only relatively, that is, casually, whereas we deny things of God absolutely, that is, with reference to what He is in Himself. And there is no contradiction between a relative affirmation and an absolute negation. It is not contradictory to say that someone is white-toothed and not white". Albert the Great wrote that wisdom and understanding enhance one's faith in God. According to him, these are the tools that God uses to commune with a contemplative. Love in the soul is both the cause and result of true understanding and judgement. It causes not only an intellectual knowledge of God, but a spiritual and emotional knowledge as well. Contemplation is the means whereby one can obtain this goal of understanding. Things that once seemed static and unchanging become full of possibility and perfection. The contemplative then knows that God is, but she does not know what God is. Thus, contemplation forever produces a mystified, imperfect knowledge of God. The soul is exalted beyond the rest of God's creation but it cannot see God Himself. Concerning humanity as the image of Christ, English Dominican spirituality concentrated on the moral implications of image-bearing rather than the philosophical foundations of the imago Dei. The process of Christ's life, and the process of image-bearing, amends humanity to God's image. The idea of the "image of God" demonstrates both the ability of man to move toward God (as partakers in Christ's redeeming sacrifice), and that, on some level, man is always an image of God. As their love and knowledge of God grows and is sanctified by faith and experience, the image of God within man becomes ever more bright and clear. English Dominican mysticism in the late medieval period differed from European strands of it in that, whereas European Dominican mysticism tended to concentrate on ecstatic experiences of union with the divine, English Dominican mysticism's ultimate focus was on a crucial dynamic in one's personal relationship with God. This was an essential moral imitation of the Savior as an ideal for religious change, and as the means for reformation of humanity's nature as an image of divinity. This type of mysticism carried with it four elements. First, spiritually it emulated the moral essence of Christ's life. Second, there was a connection linking moral emulation of Christ's life and humanity's disposition as images of the divine. Third, English Dominican mysticism focused on an embodied spirituality with a structured love of fellow men at its center. Finally, the supreme aspiration of this mysticism was either an ethical or an actual union with God. For English Dominican mystics, the mystical experience was not expressed just in one moment of the full knowledge of God, but in the journey of, or process of, faith. This then led to an understanding that was directed toward an experiential knowledge of divinity. It is important to understand, however, that for these mystics it was possible to pursue mystical life without the visions and voices that are usually associated with such a relationship with God. They experienced a mystical process that allowed them, in the end, to experience what they had already gained knowledge of through their faith only. The center of all mystical experience is, of course, Christ. English Dominicans sought to gain a full knowledge of Christ through an imitation of His life. English mystics of all types tended to focus on the moral values that the events in Christ's life exemplified. This led to a "progressive understanding of the meanings of Scripture—literal, moral, allegorical, and anagogical"—that was contained within the mystical journey itself. From these considerations of Scripture comes the simplest way to imitate Christ: an emulation of the moral actions and attitudes that Jesus demonstrated in His earthly ministry becomes the most significant way to feel and have knowledge of God. The English concentrated on the spirit of the events of Christ's life, not the literality of events. They neither expected nor sought the appearance of the stigmata or any other physical manifestation. They wanted to create in themselves that environment that allowed Jesus to fulfill His divine mission, insofar as they were able. At the center of this environment was love: the love that Christ showed for humanity in becoming human. Christ's love reveals the mercy of God and His care for His creation. English Dominican mystics sought through this love to become images of God. Love led to spiritual growth that, in turn, reflected an increase in love for God and humanity. This increase in universal love allowed men's wills to conform to God's will, just as Christ's will submitted to the Father's will. As the image of God grows within man, he learns to rely less on an intellectual pursuit of virtue and more on an affective pursuit of charity and meekness. Thus, man then directs his path to that One, and the love for, and of, Christ guides man's very nature to become centered on the One, and on his neighbor as well. Charity is the manifestation of the pure love of Christ, both for and by His follower. Although the ultimate attainment for this type of mysticism is union with God, it is not necessarily visionary, nor does it hope only for ecstatic experiences; instead, mystical life is successful if it is imbued with charity. The goal is just as much to become like Christ as it is to become one with Him. Those who believe in Christ should first have faith in Him without becoming engaged in such overwhelming phenomena. The Dominican Order was affected by a number of elemental influences. Its early members imbued the order with a mysticism and learning. The Europeans of the order embraced ecstatic mysticism on a grand scale and looked to a union with the Creator. The English Dominicans looked for this complete unity as well, but were not so focused on ecstatic experiences. Instead, their goal was to emulate the moral life of Christ more completely. The Dartford nuns were surrounded by all of these legacies, and used them to create something unique. Though they are not called mystics, they are known for their piety toward God and their determination to live lives devoted to, and in emulation of, Him. Devotion to the Virgin Mary was another very important aspect of Dominican spirituality. As an order, the Dominicans believed that they were established through the good graces of Christ's mother, and through prayers she sent missionaries to save the souls of nonbelievers. Dominican brothers and sisters who were unable to participate in the Divine Office sang the Little Office of the Blessed Virgin each day and saluted her as their advocate. Throughout the centuries, the Holy Rosary has been an important element among the Dominicans. Pope Pius XI stated that: "The Rosary of Mary is the principle and foundation on which the very Order of Saint Dominic rests for making perfect the life of its members and obtaining the salvation of others." Histories of the Holy Rosary often attribute its origin to Saint Dominic himself through the Virgin Mary. Our Lady of the Rosary is the title related to the Marian apparition to Saint Dominic in 1208 in the church of Prouille in which the Virgin Mary gave the Rosary to him. For centuries, Dominicans have been instrumental in spreading the rosary and emphasizing the Catholic belief in the power of the rosary. On January 1, 2008, the master of the order declared a year of dedication to the Rosary. Numerous Dominicans were included in the canonization of the 117 martyrs of Vietnam and a group of martyrs in Nagasaki, including Saint Lorenzo Ruiz. 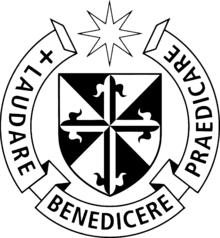 ^ a b c "Order of Friars Preachers – Dominicans". Catholic-Hierarchy.org. David M. Cheney. Retrieved January 18, 2018. ^ The word friar is etymologically related to the word for brother in Latin. "friar – Definition from the Merriam-Webster Online Dictionary". Retrieved 2008-10-21. One or more of the preceding sentences incorporates text from a publication now in the public domain: Mandonnet, Pierre (1911). "Order of Preachers". In Herbermann, Charles. Catholic Encyclopedia. 12. New York: Robert Appleton. Retrieved 23 December 2017. ^ Marshall, Taylor. "Scoreboard for the Doctors of the Church". Taylor Marshall. Retrieved 28 September 2015. ^ Oxford English Dictionary, s.v. "Black friar"
^ The reference to "hounds" draws on the tradition that Saint Dominic's mother, while pregnant with him, had a vision of a black and white dog with a torch in its mouth; wherever the dog went, it set fire to the earth. It was explained that the vision was fulfilled when Dominic and his followers went forth, clad in black and white, setting fire to the earth with the Gospel. In English, the word "hound" has two further meanings that may be drawn upon. A hound is loyal, and the Dominicans have a reputation as obedient servants of the faith. ^ Little, Lester K. (March 1983). Religious Poverty and the Profit Economy in Medieval Europe. Cornell University Press. ISBN 0-8014-9247-5. argues the Dominicans and other mendicant orders were an adaptation to the rise of the profit economy in medieval Europe. ^ "History of the Order of the Preachers, the Dominican Friars". ^ Hinnebusch, The History of the Dominican Order, 7. ^ Hinnebusch, The History of the Dominican Order, 17. ^ Hinnebusch, The History of the Dominican Order, 19. ^ Hinnebusch, The History of the Dominican Order, p. 23. Butler, Edward Cuthbert (1911). "Dominic, Saint" . In Chisholm, Hugh. Encyclopædia Britannica. 8 (11th ed.). Cambridge University Press. pp. 401–402. ^ "St. Dominic - Order of preachers". www.op.org. ^ a b "Primitive Constitution". Domcentral.org. Archived from the original on 2012-06-18. Retrieved 2012-06-04. ^ Hinnebusch, The History of the Dominican Order, 44. ^ Hinnebusch, The History of the Dominican Order, 44. See also Tugwell, 55. ^ Duggan, Anne; Greatrex, Joan; Bolton, Brenda; Boyle, Leonard E. (2005). Omnia disce: medieval studies in memory of Leonard Boyle, O.P. p. 202. Retrieved 2011-02-07 – via Google Books. ^ J.-P. Renard, La formation et la désignation des prédicateurs au debut de l'Ordre des Prêcheurs, Freiburg, 1977. ^ Pierre Mandonnet, St. Dominic and His Work, Translated by Sister Mary Benedicta Larkin, B. Herder Book Co., St. Louis/London, 1948, Chapt. III, note 50: "If the installation at Santa Sabina does not date from 1220, at least it is from 1221. The official grant was made only in June, 1222 (Bullarium O.P., I, 15). But the terms of the bull show that there had been a concession earlier. Before that concession the Pope said that the friars had no hospitium in Rome. At that time St. Sixtus was no longer theirs; Conrad of Metz could not have alluded to Saint Sixtus, therefore, when he said in 1221: "the Pope has conferred on them a house in Rome" (Laurent no. 136). It is possible that the Pope was waiting for the completion of the building that he was having done at Santa Sabina, before giving the title to the property, on June 5, 1222, to the new Master of the Order, elected not many days before." "Archived copy". Archived from the original on 2012-06-18. Retrieved 2013-02-07. CS1 maint: Archived copy as title (link) Accessed 2012-5-20. ^ Van Helden, Al. "The Inquisition". The Galileo Project. Rice University. Retrieved 10 April 2012. ^ a b Lee, Nunneries, Learning, and Spirituality, 13. ^ Lee, Nunneries, Learning, and Spirituality, 14. ^ Hinnebusch, History of the Dominican Order, 337. ^ Lee, Nunneries, Learning, and Spirituality, 70–73. ^ Lee, Nunneries, Learning, and Spirituality, 30. ^ Lee, Nunneries, Learning, and Spirituality, 31. ^ William Hinnebusch. The Early English Friars Preachers, 1. ^ William Hinnebusch. The Early English Friars Preachers, 2. ^ William Hinnebusch. The Early English Friars Preachers, 4. ^ Hinnebusch, Early English Friars Preachers, 6. There was a dispute over this oratory in 1228. ^ Hinnebusch, Early English Friars Preachers, 8–9. ^ Maura O'Carroll, The Educational Organisation of the Dominicans in England and Wales 1221–1348: A Multidisciplinary Approach, Archivum Fratrum Praedicatorum 50 (1980): 32. ^ Lee, Monastic and Secular Learning, 61. ^ a b "Dominican Missionary Sisters - of the Sacred Heart of Jesus". Dominican Missionary Sisters. ^ "Dominican Sisters of Oakford - Our Congregation". oakforddominicans.org. ^ Sisters, Dominican (25 February 2010). "Mother Rose Niland". ^ Bowring, Sir John (1859). A Visit to the Philippine Islands. London. ^ "Dominican Charism". Order of preachers. Retrieved 3 April 2017. ^ "OP 800 – Home". 800.op.org. 2006-03-16. Archived from the original on 2006-06-14. Retrieved 2012-06-04. ^ "Dominican Sisters International". Archived from the original on 2016-08-23. Retrieved 2016-08-22. ^ "Who We Are - Order of preachers". www.op.org. ^ "Information from the Laity Office at Rome" (PDF). ^ "Dominican Laity - Lay Fraternities of St. Dominic - Dominican Third Order". Dominican Laity - Lay Fraternities of St. Dominic - Dominican Third Order. ^ Woods, 37. Quoted from Benedict Ashley, The Dominicans (Collegeville, MN, 1990). ^ Bennett, 71. This was especially true of the Dominicans in Germany and France. ^ Woods, 44. Albertus Magnus helped shape English Dominican thought through his idea that God is knowable, but obscure. Additionally, the English friars shared his belief that wisdom and understanding enhance one's faith in God. The English Dominicans also studied classical writers. This was also part of his legacy. ^ Tugwell, 153. See also, Wood, 41. ^ Hinnebusch, History of the Dominican Order, 299. See also, Tugwell, 40–95, 134–98. ^ The appearance of Saint Francis's and Catherine of Siena's stigmata is well known. ^ a b Lee, Nunneries, Learning, and Spirituality, 152. ^ See Guy Bedouelle, Saint Dominic. The Grace of the Word (Ignatius 1987). ^ Randal, Felix (2008-01-06). "Dominican Year of the Rosary". Felixrandal.blogspot.com. Retrieved 2012-06-04. Tugwell, Simon, ed. (1982). Early Dominicans : selected writings. Classics of Western Spirituality. London: SPCK. ISBN 0-281-04024-9. Hinnebusch, William A. (1975). The Dominicans : a short history. New York: Society of St Paul. ISBN 0818903015. Retrieved 2015-02-22. Wikimedia Commons has media related to Dominicans. "Roman Catholic Saints of the Dominican Order". domenicani.net (in Italian). Archived from the original on Oct 9, 2018.